Manufacturer & Exporter of EDI Plant. Our product range also comprises of RO Systems, Water Softener and Ultra Filter Plant. From the first day of our commencement, we provide the best quality of EDI Plant. 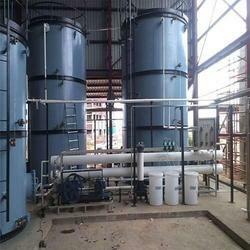 Owing to their consistent performance and minimum maintenance, the energy efficient effluent treatment plant equipment is used for waste water treatment applications. By using modern machinery, we manufacture the equipment as per the set industry norms and regulations.